View of Earth's horizon at sunrise as seen from Endeavour on STS-113. 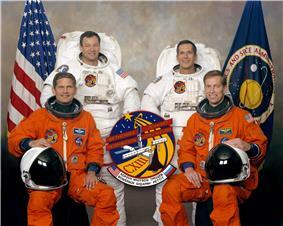 STS-113 was a Space Shuttle mission to the International Space Station (ISS) flown by Space Shuttle Endeavour. During the 14-day mission in late 2002, Endeavour and its crew extended the ISS backbone with the P1 truss and exchanged the Expedition 5 and Expedition 6 crews aboard the station. With Commander Jim Wetherbee and Pilot Paul Lockhart at the controls, Endeavour docked with the station on 25 November 2002 to begin seven days of station assembly, spacewalks and crew and equipment transfers. This was Endeavour’s last flight before entering its Orbiter Major Modification period until 2007, and also the last shuttle mission before the Columbia disaster. 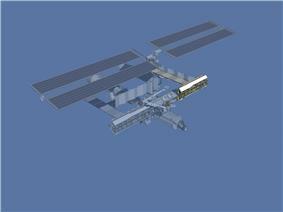 STS-113 was an Assembly Mission (11A) to the International Space Station, delivering the P1 Truss segment, which provides structural support for the Space Station radiators. Mission Specialists John Herrington and Michael López-Alegría performed three spacewalks to activate and outfit the P1. The STS-113 crew and both Expedition crews transferred about 1,969 kilograms (4,340 pounds) of cargo between the shuttle and station. 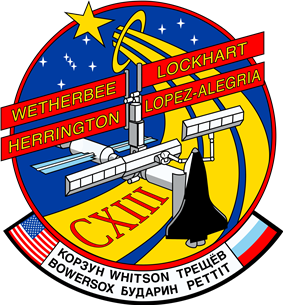 STS-113 delivered the Expedition 6 crew to the station for a four-month increment. 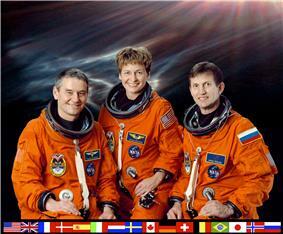 The Expedition 5 crew returned to Earth aboard STS-113, ending an 185-day stay in space. STS-113 came to a close when Endeavour glided in to a landing at Kennedy Space Center on 7 December. 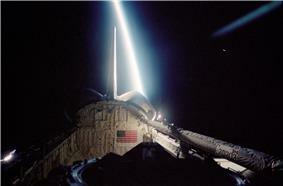 It was the 19th flight of Endeavour, the 112th shuttle mission, and the 16th shuttle mission to the station. The landing was the first time a mission ended on the fourth day of landing attempts. Also carried aboard STS-113 was the Micro-Electromechanical System (MEMS) based Pico Satellite Inspector. This payload deployed two small satellites which are connected via a 15 metres (49 ft) tether. 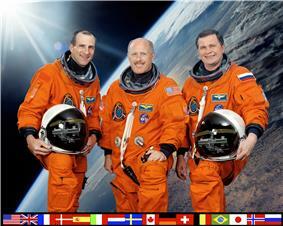 STS-113 was the final mission during which Russian cosmonauts flew on the Space Shuttle. Because Endeavour entered its Orbiter Major Modification period after the Columbia disaster, this was the last shuttle mission to fly with a traditional analog-style cockpit. 3 2002-11-23 19:49:47 !23 Nov 2002, 7:49:47 pm success 0 days, 23 hours, 34 minutes 95% initial weather reports for TAL sites was not favorable but cleared in time for launch. 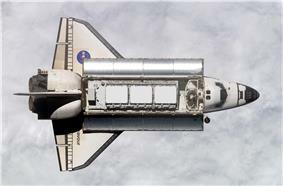 ^ "Shuttle fueling begins". CBS News. 10 November 2002. Retrieved 30 August 2009. ^ "Launch scrubbed by oxygen problem". CBS News. 10 November 2002. Retrieved 30 August 2009. ^ a b "Shuttle grounded by rain in Spain". CBS News. Retrieved 30 August 2009.